Have you experienced the need to access an application while in the middle of a traffic jam? Have you encountered a scenario where you have to send a file in your work desktop to a key client while on an exotic holiday spot? Moments like these can give you a lot of stress, or to some extent, hinder work productivity. You wish you could carry your computer with you all the time but the thing is, you just simply can’t. That’s why remote access is something you need to add to your organization’s functions. With the help of this technology, you now have the power to access your work computer remotely, even outside your work premises. 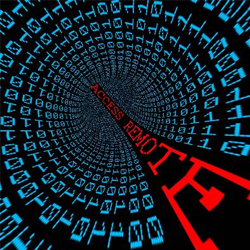 Remote access refers to the technology that allows users to connect to a specific device, usually a computer or a laptop, even from a faraway location. Typically, remote access is achieved through a third party software that connects the user to a device remotely. Once connected, you now have the full control of the device you’re remoting to. You’ll be able to see the exact desktop screen of the device the way you’ll see it in person. From there, you now have the ability to run applications, access files, and manage problems within the computer’s software or system. More often than not, people will go through the same scenarios stated in the first paragraph of this article as everything in the corporate world is fast-paced already. The good news is that the solution to these problems can now be achieved using remote access. This applies well for technical support businesses that fix problems to a computer software or network. Instead of going to the actual client’s office or household, IT technicians can just work on the problem remotely without needing to deal with the hassle brought by commuting. It can also save a lot of time and effort for both parties, making the work more efficient and productive. If you have an effective remote access to your network, chances are you also have remote accessing tools that will enable you to optimize resources to the fullest. With this, you can make sure that accessing files wherever you are can be done easily, without any inconvenience and hassle. One of the benefits of remote access is making sure that business services are always maintained. Going back to the examples provided above, this will ensure that employees can still meet their work requirements even in the most crucial circumstances. In this way, deadlines are met and business functions are still pushed through. Remote access also allows system administrators to monitor and manage networking and computing devices easier and more effective. This will enable people from the IT department to provide the best service to other employees who may be experiencing tech problems on their devices. Remote access can save your enterprise more money and financial spendings. Investing in a remote access system is relatively cheaper than maintaining a full-time office. With this, you can cut costs on essential office equipment you will most likely spend on. The only thing you have to be concerned about is maintaining an effective remote access system within your enterprise. The benefits of remote access aren’t limited to a specific geographical setting only. Having remote access means having a wider connection outside of your locale so you can serve a myriad of people anywhere in the globe. With this, you can market your services in a much larger setting. One of the most important benefits of remote access is it decreases the attrition rate of employees. By providing access to their remote devices, employees can now enjoy the experience of working from home. With this, a maintained work-life balance can be achieved, making employees feel more satisfied with their jobs. Remember that the benefits of remote access don’t just end with the list stated above. You’ll notice more of its benefits as you utilize this new technology towards the betterment of your own business. Reap the benefits of remote access now and see your enterprise grow from here. Does the need of Remote Access is helpful?